What is Multichannel Marketing and Why is it Essential for Your Business? For the business owner of today, multichannel marketing is truly essential. It allows business owners to communicate with and engage their potential and current customers utilizing different channels. With the help of a mobile marketing service, your business can begin to use multichannel marketing to reach out to consumers via social media platforms, email, RSS feeds, SMS marketing, mobile optimized websites and much more! The following information will explain various components that are generally included within an effective multichannel marketing strategy, so you can see how multichannel marketing can help you take your business to the next level. 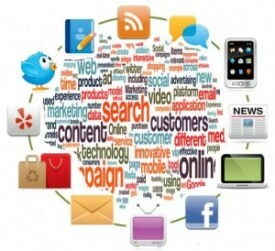 Social media marketing is a tool you simply cannot afford not to be using. It is important to allow customers the option of sharing content from your website or blog on various social networks like Twitter, Facebook and LinkedIn. Once your content is shared on one of those websites, it can potentially be exposed to millions of internet users. Better yet, if you choose the right marketing service, you will be able to track the results of any shared content. Surveys are another key component of multichannel marketing. Surveys allow you to learn what your customers really think. You will find that many customers who may be shy to give opinions normally really open up and provide solid feedback and criticism if they are given the opportunity to complete a survey regarding your business. Once you have the data, you can act accordingly and make adjustments to your products, services or business model to better ensure customer satisfaction. Once you have made the adjustments, your business will gain a reputation for truly responding to customer concerns. SMS marketing is another piece of the puzzle. With well-designed SMS marketing messages, you can reach out to customers and bring them in to your business by informing them about new offers or promotions that you are currently running. Landing pages are so vitally important. A landing page is designed to capture visitors’ contact information by offering them something of value in return, such as a free report, or coupon, etc. A well-designed landing page can greatly increase the number of visitors to your website that become paying customers. By offering an incentive for customers that opt-in to receive SMS or email marketing messages on your landing page, you can greatly increase your email list and sms list in a short amount of time. It is important to track the results so you can figure out which strategies work best for your business. With in-depth reports that highlight the strengths and weaknesses of your current marketing efforts, you can constantly update and upgrade your marketing plan so that you can see better results each month. Now that you know a bit more about multichannel marketing and how it works for your business, you owe it to yourself to make the call today so you can begin using multichannel marketing strategies to help you reach your business goals sooner than you ever thought possible. TrueNorth3 Mobile can set up Multichannel mareketing campaigns for your business and put a detailed plan in effect to track and adjust as needed.